This weather pretty much demands warm, feel-good meals, right? I thought I’d share something we made this week. 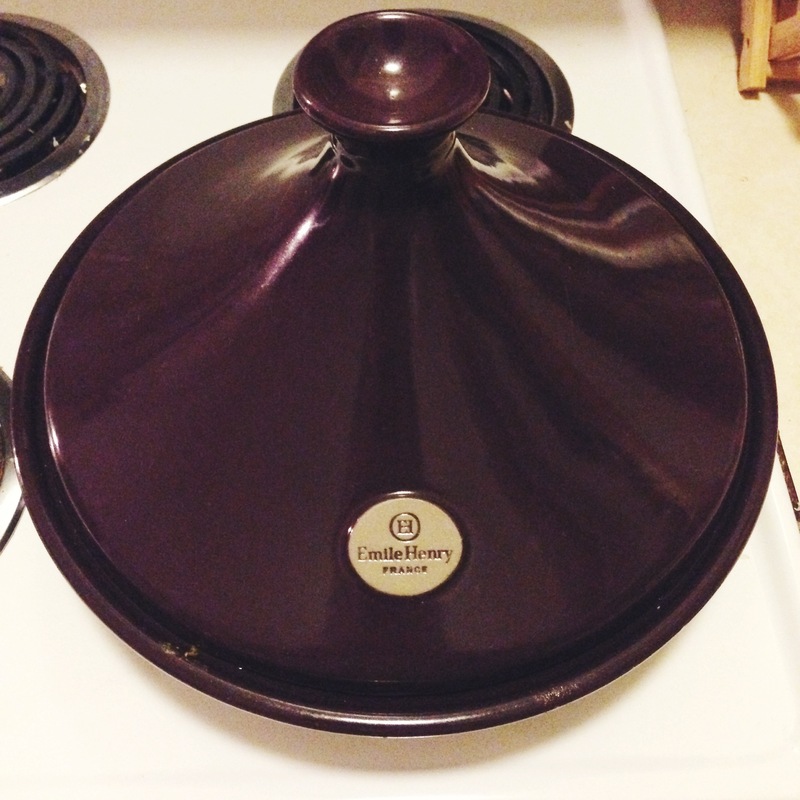 The tagine’s conical shape makes a uniquely moist, hot cooking environment for the dish being cooked. The base is wide and shallow, and the tall lid fits snugly inside. As the food cooks, steam rises into the cone, condenses, and then trickles down the sides back into the dish. The first few times we used it, we followed recipes from a tagine cookbook, but I found that the recipes often included expensive ingredients or things that are hard to find in the small markets near my apartment (trips to the full-fledged grocery store only happen about once a month). Lately, we’ve just been improvising recipes inspired by the ones in the cookbook. We melted some butter and then threw the rest in, and let it simmer for a few hours.When we were ready to eat, I made some couscous. It was the first time I ever had lamb (I’m a sensitive wimp who thinks about little lambs) and it was delicious, Lampchop be damned. 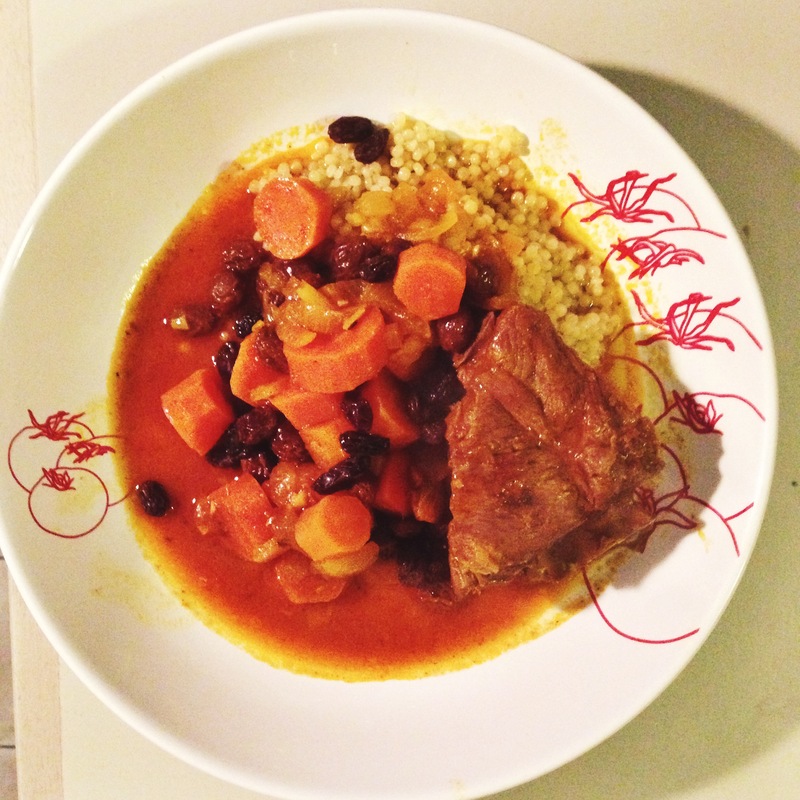 My tagine is beautiful, put pretty functional. There are some absolutely gorgeous tagines out there that maybe I’ll get my hands on one day.